7 DAY ONLINE Programme with Rachel Holmes – Womens 45+ Weight loss and Wellness Expert. Are you 45 + and struggling to get your eating under control? Unexplained weight gain around your middle? Feel your hormones are out of balance? Are you stress eating – mindless nibbling and night time nibbling before bed? Are you struggling with sleep, energy, cravings and mood swings? Access on demand, anywhere at any time! Workouts and nutrition on-the-go to suit the busiest of lifestyles and in a bitesize 7 days! Daily nutritional video explaining what to eat. Shopping lists, Meal Plans and Recipes. On Demand begin right away – no waiting for a Facebook group to start. JUST BEGIN. 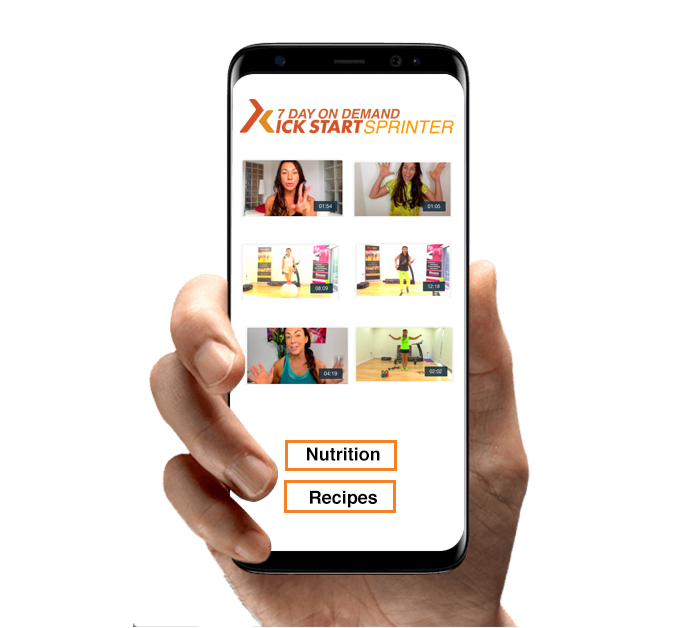 Gain access to the Kick Start 7 Day Sprinter Dashboard.